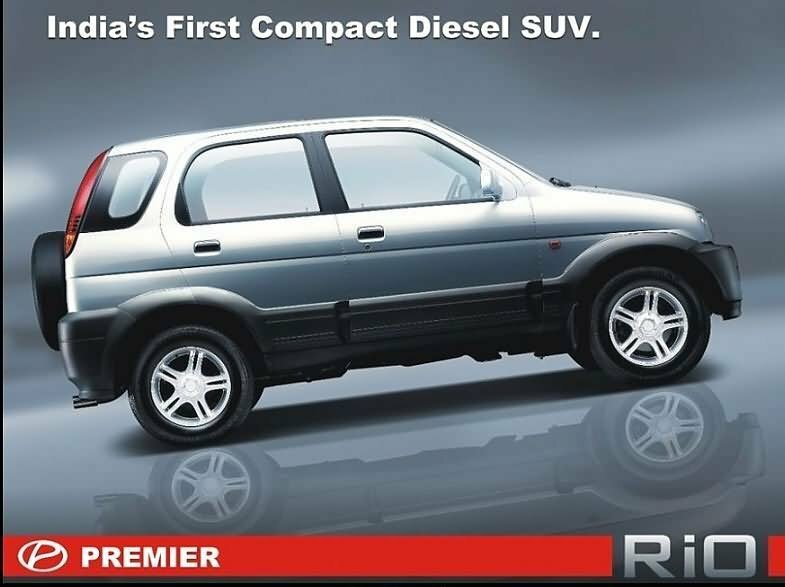 Premier Rio has launched by Premier auto as India’s first compact SUV.The Premier auto company wants to renew its market by launching and Indian version of Zotye Nomada as a compact SUV Rio. The Premier Rio is originally a Chinese compact SUV the Zotye Nomada manufactured by leading Chinese auto manufacturer, Zotye Autos.The Premier Rio will be assembled at Premier Auto’s Chinchwad facility in Pune.This SUV is manufactured with advance technologies across the world. Premier Automobile Limited is one of the oldest automobile company in India started in 1944 with Chrysler Corporation Vehicles and later manufactured car named Plymouth,Dodge and DeSoto but the most famous name was Premier Padmini. 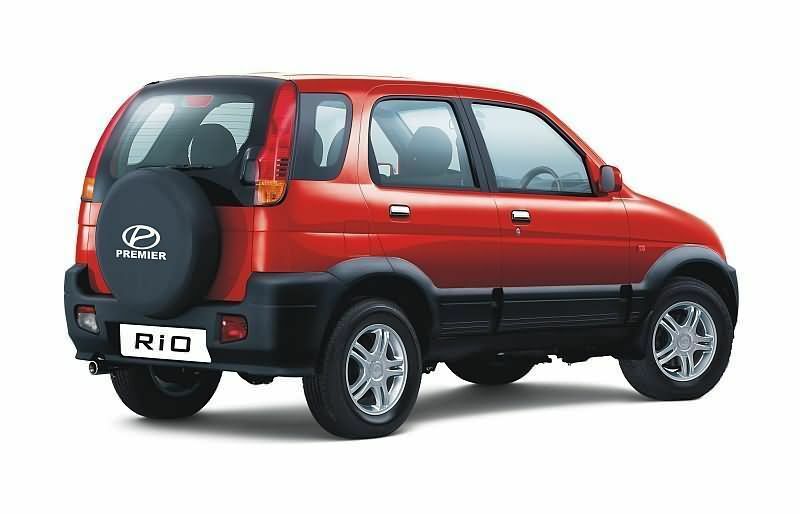 The Rio can be categorized as hatchback SUV as it is just bigger then any hatchback.The Rio’s dimensions are 900 mm in length, 1555 mm wide and 1670 mm tall. 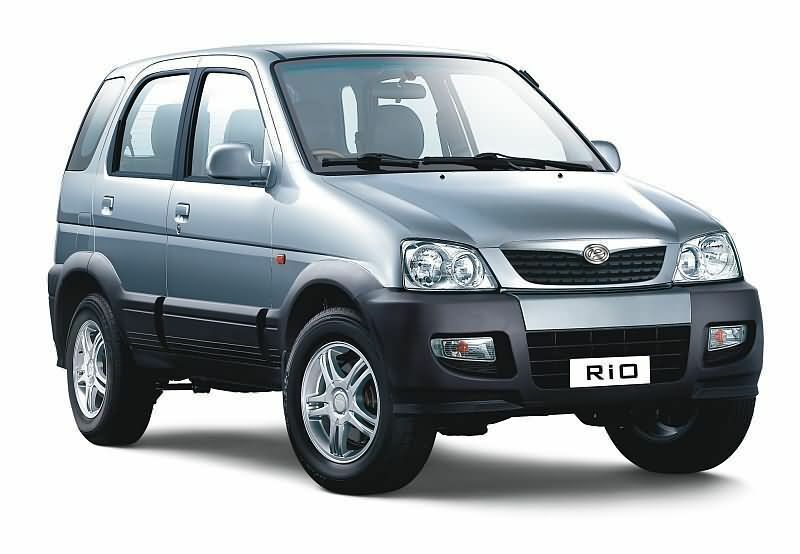 The Styling of Rio have integrated indicators within front bumpers,twin parabolic head lamps with headlamp leveling device, wired mesh grill covered with chrome strip.At rear end vertical tail lamps in D-pillar and have spare wheel mounted on the rear door, all these specifications provides an bold look to an SUV. 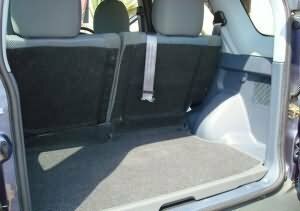 The interior of Rio have five comfort seats ,two front and three rear seats, but quality of seats should be up to the mark of an SUV. 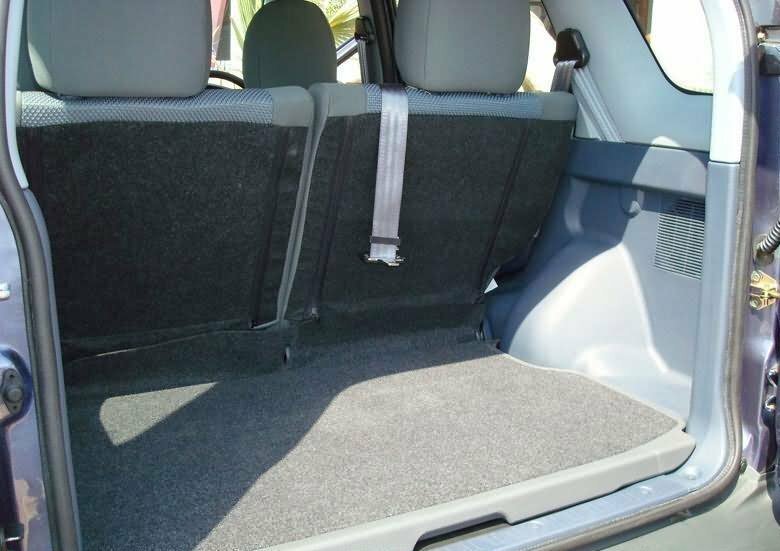 The RIO also have better storage space than the large hatchbacks within its dimensions. The base model of Rio comes with front power windows, rear defogger, rear wiper/washer and electric adjustment for outside rear view mirrors. The top model of Rio comes with AC, Central Locking, ABS, EBD & CD Player with AM/FM and premium fabric in different shade. The safety features of Rio have 3-point ELR seat belts, Key less Entry,chills lock,Brake assist and side impact beam in case of any of side impact. 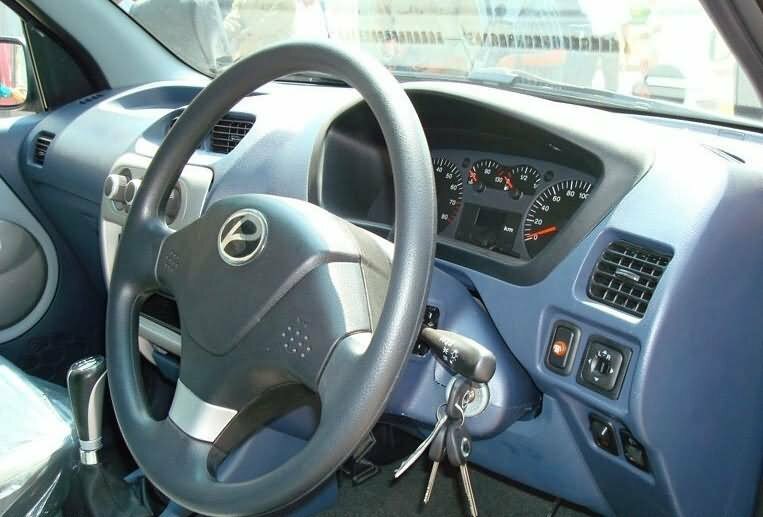 Safety feature like ABS with EBD,Central door locking. The Premier Rio is powered by 1.5L I-4 Turbo Diesel Engine with power output of 65 bhp and a torque 152 Nm @ 2250 rpm, which is very less as compared to any SUV and in accordance with the weight of the Rio ,but provides fuel economy of 13/17 km/l (diesel).The transmission by 5-speed manual gearbox for smooth driving.This engine is basically Premier Auto’s own engine that is essentially a downsized Peugeot TUD5 diesel engine. The engine is Euro-III ready and the company is taking adequate steps to meet the latest Euro-IV emission norms. The Premier Rio compact SUV comes in three variants, the Ex, Dx and Lx,with a diesel option only.Over all Rio looks like a value for money SUV with lots of features. 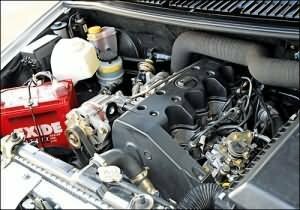 1.5L I-4, 64 bhp, Diesel Engine. Hi All, In case anybody is interested, as mentioned by the site that Premier Rio is a continuation of a chinese make, it’s some how sounds strange, because this model is actually the continuation of discontinued Japanese series of Toyota Cami OR Daihatsu Terios (available both in 1.3 and 1.5 Ltr. with Petrol run auto transmission). Nobody ever knew about any Chinese connection to this series! Check these names out on the net. However, I had owned one 1.5 Cami and I will have to tell yo that its a joy ride. I dont know how a Disel Manual transmission would work, but it still is a great vehicle.///// Rahat Choudhury, Dhaka, Bangladesh. 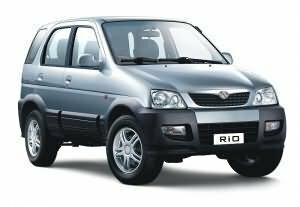 I have seen RIO at Igatpuri near Nasik, me and my friends are amazed with the model, can u pls send me the name of the dealer in Mumbai. I am interested to know about about Premier Rio LX model, and also a dealer in Kolkata or Siliguri, if in its available assam its more convinient for me. Please provide me the Kolkata or Siliguri base Dealer’s address and phone number, also I want any Rio LX model Browser and ex-showroom price with all technical data and its service center in India and nearest with Guwahati (Assam).